Songs and Wisdom from Sufjan : Reform worship. Sufjan Stevens is one of the most prolific artists on the scene (or under it) these days. I can't get enough of his art, which makes it a good thing that he is frequently giving me more and more of it. I am currently revisiting his Songs for Christmas, using several of his renditions of carols in our corporate worship, banjo and all. Quietus: Being an artist of some repute do you find the calling to spread the Good News sits awkwardly with your profile? Is it difficult? Sufjan: Not necessarily, you know, I think the Good News is about grace and hope and love and a relinquishing of self to God. And I think the Good News of salvation is kind of relevant to everyone and everything. Quietus: I find as I get older due to a sequence of events spirituality becomes more intriguing, though having been indoctrinated with the hard line dogma that I’d go to hell if I didn’t follow certain practices and believe very specific things, I was quite angry about Christianity for a while. Quietus: I suppose you could call it Protestant guilt. Sufjan: The church is an institution and it’s incredibly corrupt obviously, but that’s because it’s full of dysfunctional people and people who are hurt and battered and abused. It’s very normal in any institution to have that kind of level of dysfunction. That’s unfortunate. I find it very difficult, I find church culture very difficult you know; I think a lot of churches now are just fundamentally flawed. But that’s true for any institution you know, that’s true for education, universities and it’s definitely true for corporations because of greed, and I think part of faith is having to be reconciled with a flawed community. But the principles, I don’t think the principles have changed. They can get skewed and they can get abused and dogma can reign supreme, but I think the fundamentals, it’s really just about love. Loving God and loving your neighbour and giving up everything for God. The principles of that, the basis of that is very pure and life changing. Quietus: Church originally was a body of people and it had nothing to do with a building. 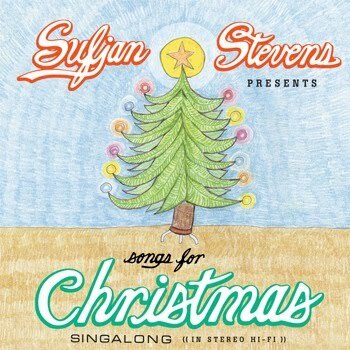 Sufjan: I mean it’s weird. What’s the basis of Christianity? It’s really a meal, it’s communion right? It’s the Eucharist. That’s it, it’s the sharing a meal with your neighbours and what is that meal? It’s the body and blood of Christ. Basically God offering himself up to you as nutrition. Haha, that’s pretty weird. It’s pretty weird if you think about that, that’s the basis of your faith. You know, God is supplying a kind of refreshment and food for a meal. Everything else is just accessories and it’s vital of course, baptism and marriage, and there’s always the sacraments and praying and the Holy Spirit and all this stuff but really fundamentally it’s just about a meal. Happy Sixth Day of Christmas! iBand: Appropriate for Worship or Not?